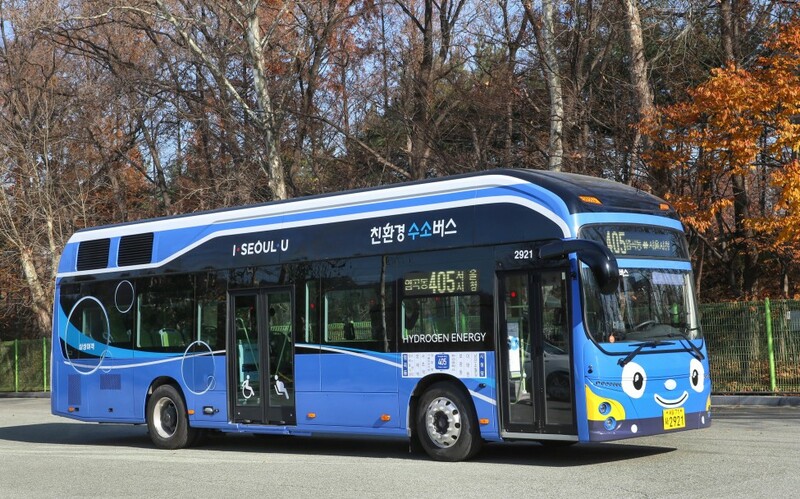 30 fuel cell buses by Hyundai will be delivered to six South Korean cities and used for public transport services. Seoul government recently said that the first pilot in the capital city has already started. And five other major cities will join next year, starting in March. In total, 30 fuel cell buses will be deployed, said officials at the trade and environment ministries. The goal of the Memorandum of understanding signed by Hyundai and institutions is to have a thousand hydrogen buses on the road nationwide by the year 2022. The cities involved in the project are Seoul, Ulsan, Gwangju, Changwon, Seosan and Asan. From the side of hydrogen supply, a total of 13 companies, including Hyundai, Korea Gas Corp., Air Liquide, Hyosung Heavy Industries and Kolon Industries, Inc., signed an initial agreement to set up a 135 billion won (US$119 million) special purpose company (SPC), named HyNet, for the establishment of hydrogen fuel stations. As reported on The Korea Buzzwire, Hyundai recently began a pilot program for hydrogen fuel cell buses in Seoul, following the launch of such a bus on a regular route in Ulsan last month. The bus in Seoul will operate five times a day for the next 10 months. The first fuel cell bus was introduced in South Korea in February, but it was a express bus, not a public transport one. Hyundai launched the NEXO hydrogen fuel cell electric vehicle early this year following the launch of the Tucson ix fuel cell electric car in 2013. 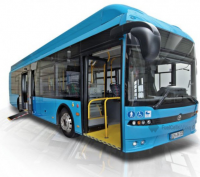 And at IAA 2018 the Korean company affirmed it has entered into a Memorandum of Understanding (MOU) with Swiss hydrogen company H2 Energy (H2E). According to the statements, beginning in 2019 and over a five-year period Hyundai Motor and H2 Energy will provide 1000 heavy-duty fuel cell electric trucks and an adequate supply chain for renewable hydrogen, the company says – the latter key for commercial vehicle use in general, including buses.